vinyl record sales continue to increase year over year. The reports of the death of vinyl appear to have been greatly exaggerated. Based on sales numbers from North America and the UK, vinyl is here to stay for a very long time. This is not just a trend where LP sales are growing. In the UK in as of December 2016, sales were £2.4m compared to £2.1m for digital music. This also represents a huge increase over the £1.2m last year compared to £4.4m for digital sales. Not only are vinyl sales increasing, these sales are at the expense of digital music sales. What this does not account for is the huge increase in streaming music, which is possibly more responsible for the drop in digital music sales. In Canada, streams went from 2.1 billion in 2015 to over 9.2 billion in 2016. At the same time album sales, which combines CDs, MP3s, cassettes (yes – there are still some of these being sold) and vinyl LPs, dropped 19.4% from 2015 to 2016. However, vinyl LP sales jumped by 38%. Similar results were seen in the US. 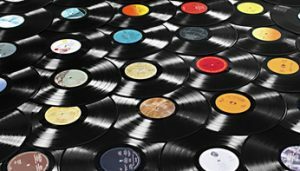 According to the RIAA, vinyl record sales were their highest in 2016 since 1988 with an increase of 32% to $416 million. Over the same period, CD sales dropped in total sales volume by 17%. While some like to attribute this to nostalgia and a hipster fad, when you go back to the first Record Store Day in 2008, this does not seem to be true any more. Record Store Day was an attempt by small independent stores to create interest in the vinyl record. Special sales events were held and limited edition vinyl records were released on Record Store Day. It worked. Vinyl lovers lined-up for these offerings, and continue to do so. But let’s face it, fads like this don’t last for eight years. The increase in sales is being pushed by both the old and new. Topping the Tower Records top 100 record chart as of December 12, 2016 in an anniversary release of Dave Matthews Band Crash released twenty years ago. Number two is Abbey Road from 1969. Nostalgia? Probably in part, but Twenty One Pilots occupy the number three and four spots. Chris Stapleton, Taylor Swift, The Lumineers, Adele and Lana Del Rey also all are prominent on this chart. Some have also attributed this surge in record sales to music lovers embracing the tactile nature of vinyl. The warmth of vinyl is always put forward as its greatest asset, but I would also argue that people are discovering and rediscovering the warmth of sliding the vinyl out of its sleeve, placing it on the turntable, watching the needle drop into the groove then sitting back and listening to an entire side of an album in the order that the musicians intended. There is something very calming about not being able to skip over a song or move immediately to the next track. Trying waiting the two or three seconds between tracks so you can savour what you’ve just listened to. Whatever the reason for the resurgence of vinyl, I like it and I’m confident its here for awhile.